I thought we were done with the flu season this year - but the CDC reports seven cases of a new strain of swine influenza A (H1N1). Check out the CDC alert and this Reuters article. Did you know back in February scientist and medical professionals selected the influenza virus strains for the upcoming flu season? Now that it is July the pharmaceutical companies are well into manufacturing, purification and testing the vaccine. 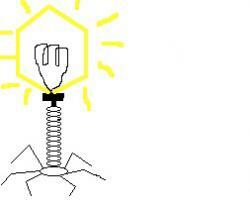 Meanwhile, it is winter and flu season in the southern hemisphere and the virus is busy mutating. The big question on everyone’s mind is will it mutate so much that the northern hemisphere vaccine will be ineffective? "The current system, in which most of the world’s vaccine supply is grown in chicken eggs, is an antiquated, inefficient method requiring six months or more to ramp up production, which in turn means that the vaccine strains must be chosen far in advance of each flu season. More crucially it sometimes prevents the use of the optimal strain, as it did in 2007." In recent years the match between the vaccine viruses and those identified during the flu season has usually been good. In 16 of the last 20 U.S. influenza seasons, including the 2007-08 season, the viruses in the influenza vaccine have been well matched to the predominant circulating viruses. Since 1988, there has only been one season (1997-98) when there was very low cross-reaction between the viruses in the vaccine and the predominate circulating virus and three seasons (1992-93, 2003-04, and 2007-08) when there was low cross-reaction (CDC). So after last year’s miscalculation the committee picked three new strains for the vaccine this year. One is a current southern hemisphere vaccine virus which they expect will still be present next year. In addition, they predict a second new Type A strain, known as H1N1/Brisbane/59, to also hit, along with a newer Type B/Florida strain. "The harm was thus twofold; people fell ill and their trust in the vaccine system was undermined. This failure could have been predicted, if not prevented, through a more open system of vaccine design, a stronger culture of sharing in the influenza research community and a serious commitment to new technologies for production. The habits of the vaccine community must change for the sake of public health." 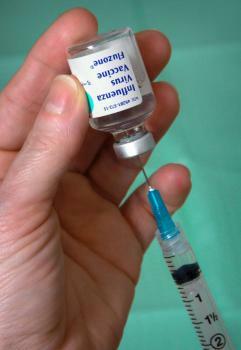 "The process of choosing flu-vaccine strains needs to be much more open. Other scientists, such as those in evolutionary biology with expertise in sequence analysis, could meaningfully contribute to the selection. At present, external scientists cannot review the data that went into the decision, nor can they suggest other types of data that might improve it." Even with all of these miscalculations, I still feel getting the vaccine is worth the risk. But that doesn’t mean the process shouldn’t be improved. So once again I will be vaccinated and I will make sure my family is too—but what can we do as citizens to improve this process? What will you do? Since 2005, an ebola-like virus has been killing fish in the Great Lakes. A major die-off was recently reported near Milwaukee, affecting some 30 species. While the disease does not affect humans, it could devastate sport and commercial fishing in the region. Though the disease has not hit Lake Superior yet, it is starting to spread out from the Great Lakes region, thanks to infected fish swimming into rivers and streams. With the upcoming Olympics, China is in the spotlight. The Chinese Health Ministry, scrambling to fend off cover-up allegations, issued a nationwide alert Saturday over a virus that has killed 24 children and sickened more than 4,000 others. In milder cases, EV71 can cause cold like symptoms, diarrhea and sores on the hands, feet and mouth. But more severe cases can cause fluid to accumulate on the brain, resulting in polio-like paralysis and death (the journal Genetic Vaccines and Therapy). Public health officials expect the number of cases to peak in June or July. There is no effective antiviral treatment for severe EV71 infections, and no vaccine is available. This disease also has broken out in Hong Kong, Taiwan, Singapore and Vietnam, although no deaths have been reported there. The viruses mainly strike children aged 10 and younger and is easily spread by sneezing or coughing. A public awareness campaign is ongoing, stressing the need for good personal hygiene, mostly by hand washing.